On Sunday, we had the pleasure of Emma joining us for an early bike ride (that’s not significant for the post, but I choose to throw it in 🙂 ). Emma and I had the hybrids, which already have the excellent Slime inner tubes, and which in the space of a lot of cycling over 3 years, have never let us down. In addition, Jan has a road bike, and I’ve recently bought one. Jan used the road bike for this ride. Once again, riding on a path, the road bike got a puncture. On average therefore, I would say we get a puncture one in every five 25 mile rides. 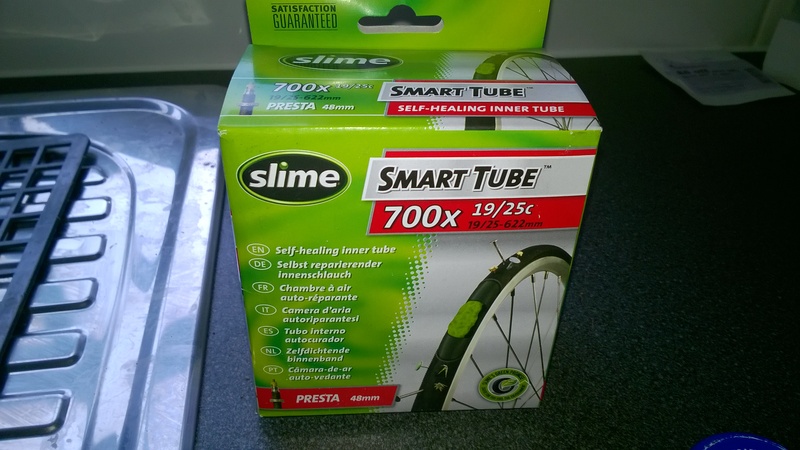 So yesterday we bought a pair of slime tyres for the road bikes. Although we like to go at a reasonable pace, we are not bothered about squeezing that last drop of performance out of our bikes. Thus, any weight or speed penalty the Slime introduces is justified by less time fitting a new tube or a sticky by the side of the road. 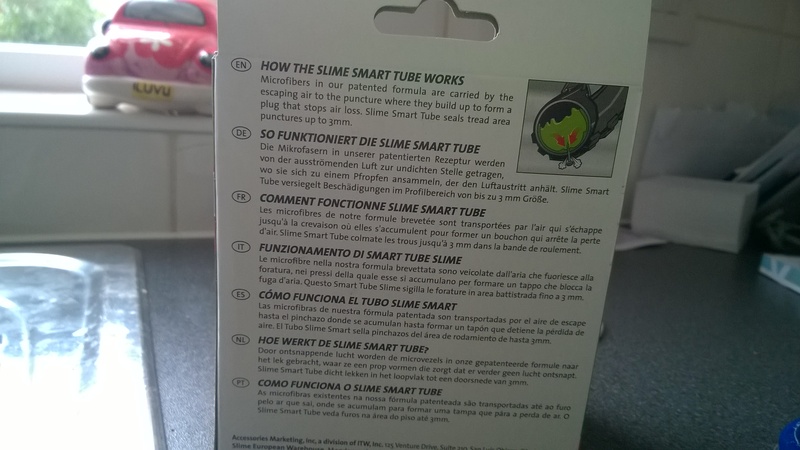 I’ll update this post if the road bike Slime does get a puncture which doesn’t repair itself. For reference, below is a picture of the tube I used – 700X 19/25C. 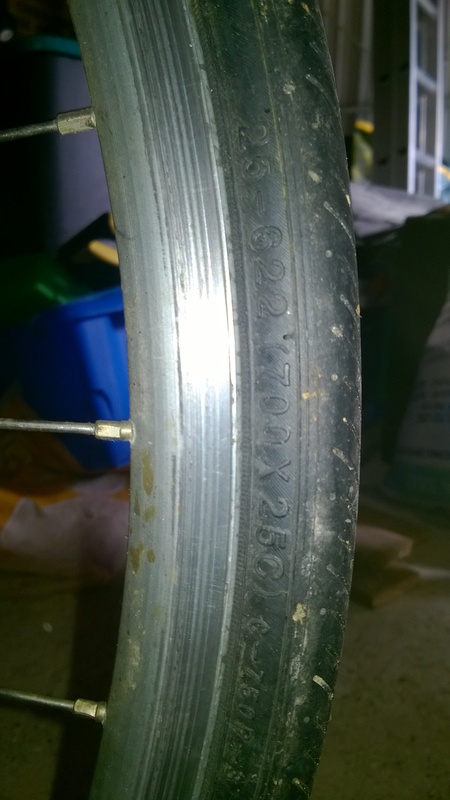 In fact the previous tyre was a 23C, but the tube fitted fine. If anything, it was easier to put on than the Slime on the hybrid. If you have not used these before, be aware that inflating the tyre can be a bit messy, at least when you are pressing the valve down to ensure it is free. We got the tyres from Wilkinsons‘, which are great value at £6 each, right now. Retail is normally £10 or so I think.